What is a Rhode Island Non-Disclosure Agreement? Rhode Island Non-Disclosure Agreement: What Is It? A Rhode Island non-disclosure agreement is a legal contract signed by an employee or contractor. A Rhode Island non-disclosure agreement binds the employee or contractor from revealing company secrets or trade secrets to the public or competitors. A Rhode Island non-disclosure agreement is a great way to proactively protect the secrets of your business. Rhode Island’s Uniform Trade Secrets Act, R.I. Gen Laws. §§ 6-41-1 through 6-41-11, sets forth the laws that affect non-disclosure agreements. Since the purpose of a Rhode Island non-disclosure agreement is designed to protect business secrets, it’s important to exam Rhode Island’s Uniform Trade Secrets Act to understand how the state defines the term “trade secret.” Under R.I. Gen Laws § 6-41-1 (2014), a “trade secret” is information that includes a formula, pattern, compilation, program, device, method, technique, or process with its own actual or potential financial value that is obtained by the fact that the information isn’t something that is generally known by the public. It also isn’t something so basic that another company could discern the information to use for their own financial gain. 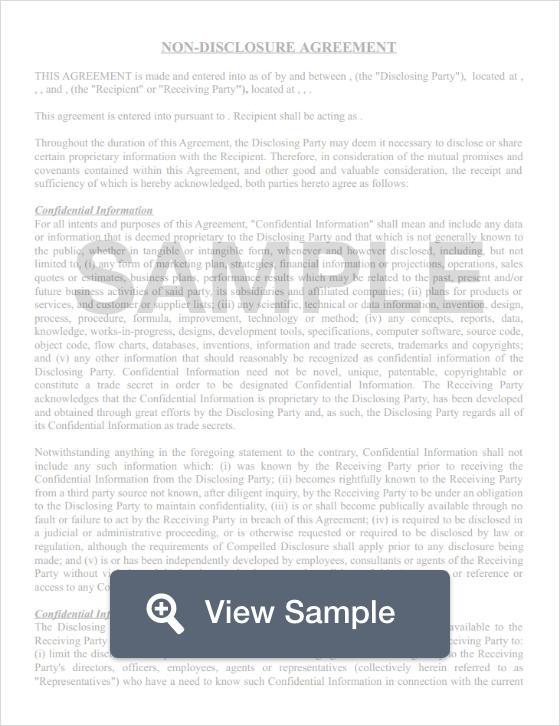 For information that a company wants to claim as a trade secret in an NDA, the company must take reasonable actions to keep that information secret. Rhode Island’s Uniform Trade Secrets Act also outlines the steps that a company should take to keep trade secrets protected. In an ever changing competitive environment, businesses must take every step they can to maintain their edge. One way a company can do this is to use the contract together with a Rhode Island noncompete agreement.